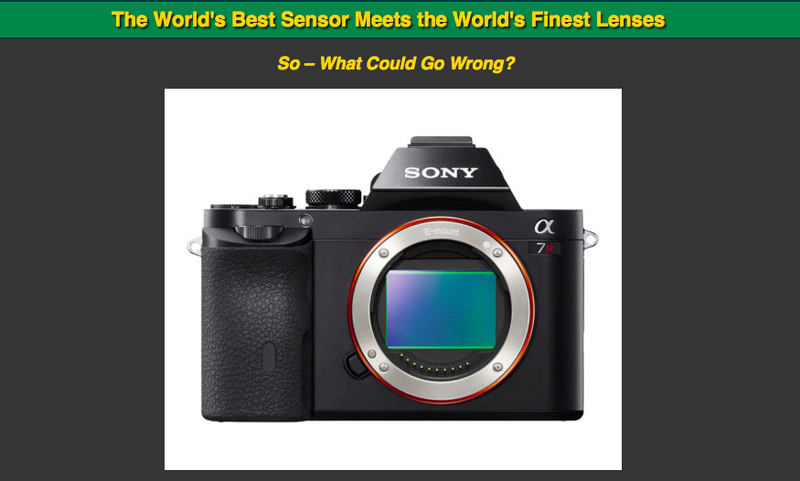 Michael Reichmann at Luminous-Landscape has an interesting article on the use of Leica lens on the new Sony A7 series of cameras. I personally want to be able to try these out for myself, when I get one of these cameras for a longer time period. He is positive about the cameras, yet damming about the number of lens currently available for them, which is how I feel. As Sony could do a lot better with these cameras, with a good range of lens available at launch. Sony are missing a portrait lens and the two best zooms are not available yet, which is a shame. I personally want the Sony A7R, with the 24-70 f4 lens and the 70-200 f4 lens and I will use my Leica lens on the camera, when I want to have zone focusing and a focus depth set on the lenses. I will use the Leica lens, I have when I want to work with hyperfocal distances and preset focus distances or zone focusing, which is a way I like to work for my street and documentary photography images . Back to the point of the bog post, Michael has written an interesting article that describes his use of the Adobe DNG Flat Field Plug-In for use in Lightroom to solve a few of the problems that will be encountered using these lens on these cameras.